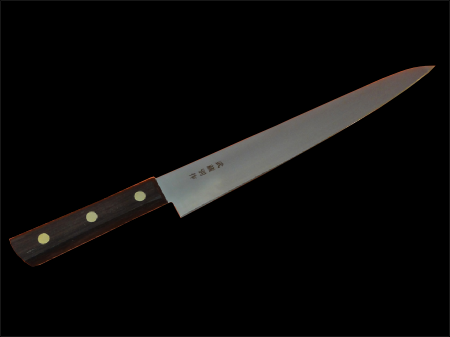 The Sujihiki is the Western equivalent of a Japanese Yanagi knife. 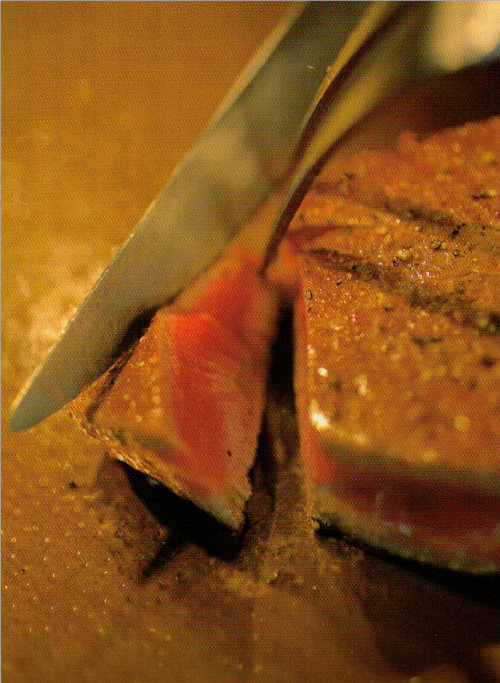 Similar to a Western slicer, its function is cutting fish after they have been filleted or boned. 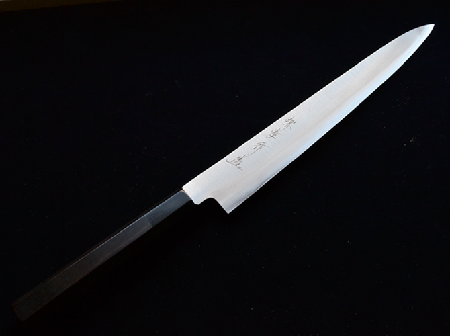 The Sujihiki can also be used as a slicer for meats. 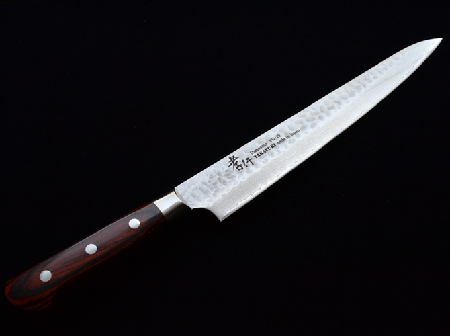 Due to the short height of the blade, less friction is created when cutting, making it easier to draw the knife through fish and meat. 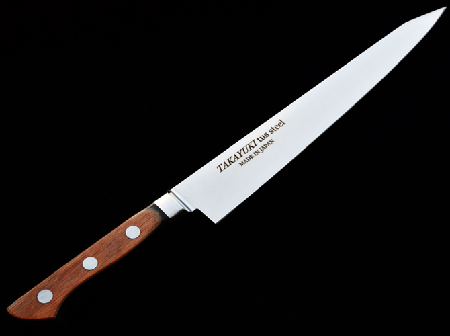 This is a standard knife using a special steel containing chromium and molybdenum, which is resistant to rusting and stays sharp. 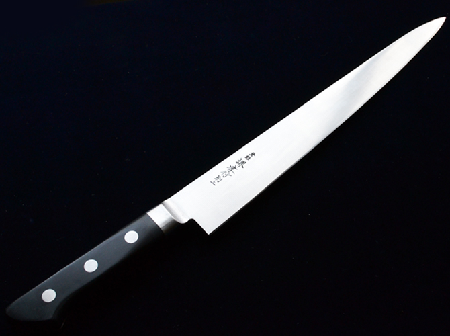 This knife use Ginsan steel. It differs from Yanagi knife. 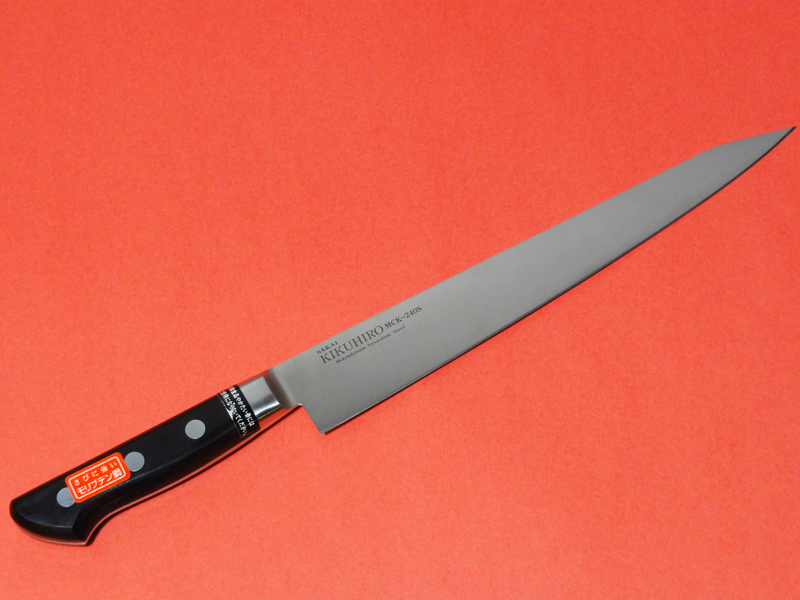 The knife doesn’t rust easily and is not heavy, It’s a comfortable knife to use. 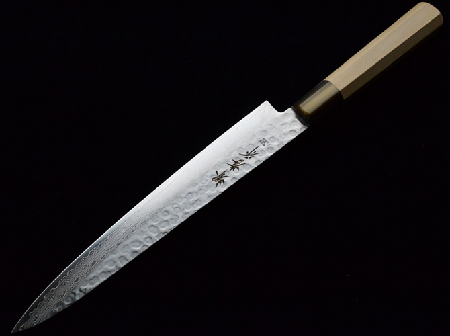 Kikuhiro is a regular chef’s knife. It’s comfortable and easy to handle. 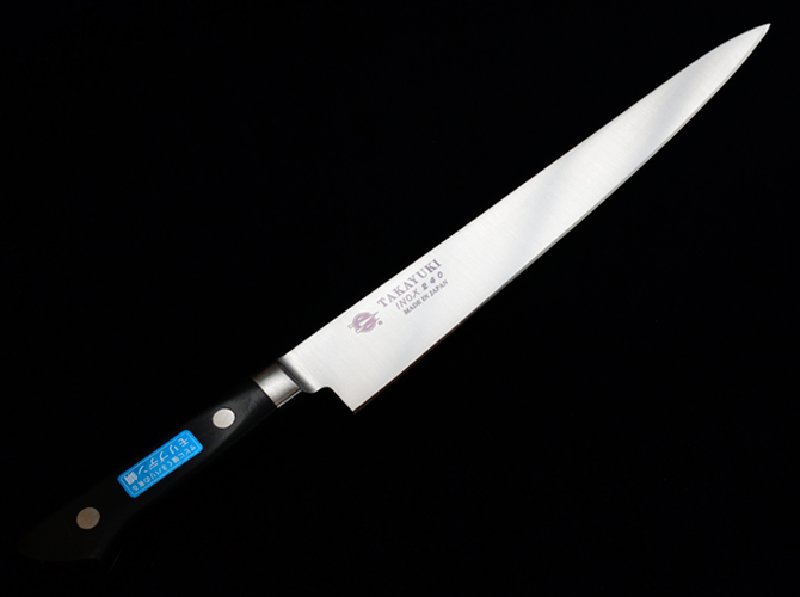 The blade is almost the same quality as the DCK. However MCK is lighter than the DCK. The handle is all black. It is generally for semipro and professional use. Simple is the best.